Beautiful to behold, these stately lords of the barnyard must be seen to be appreciated. The metallic sheen of the feathers changes from copper to bronze to burnished gold as the light moves across them. 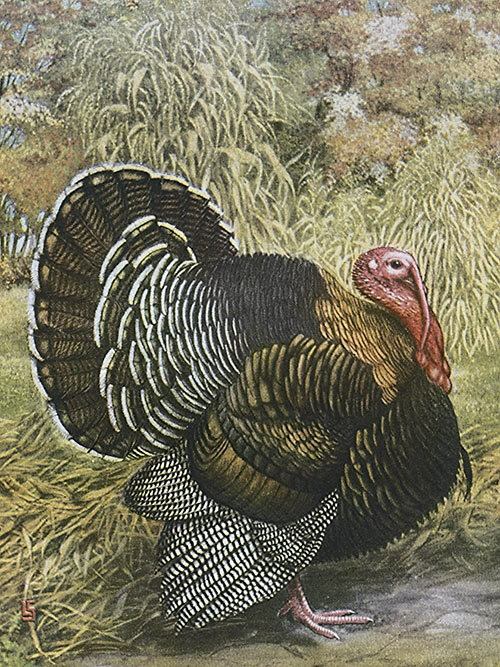 Four feet in length, six feet from wing tip to wing tip, a full grown tom will weigh in at about 38 pounds. Hens easily go 22 pounds. No wonder the Pilgrims gave thanks for the wild ancestors of these present-day beauties. how much coop space does a BBB need? We'll have a run as well but have 12 turkeys and know they get ginormous. You should provide at least 5 - 6 sq ft per bird. What is the average age for butchering a broad breasted bronze turkey? 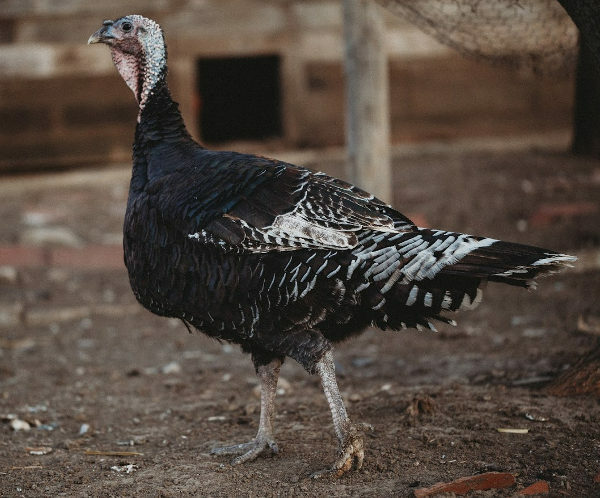 Broad Breasted Bronze turkeys are generally butchered at 20-24 weeks of age. Most broad breasted bronze will not reproduce. They are bred for the most part to butcher. BronzeWe raised these for about 5 months in 2017 along with broad breasted whites. Had an avg dressed out weight of 20lbs. They were great eating and sold very well, though they cook much faster than traditional store bought turkeys... Just purchased #30 for 2018 along with some midget whites. ExcellentI ordered 15 of these which all came healthy. They were thirsty and drank a good bit of water for the first couple of hours and by the end of the first day all had settled into normal behavior. I would order chicks from this hatchery any time. I highly recommend them.